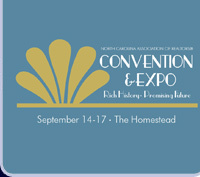 Join your colleagues September 14-17, as we host the 2014 NC REALTORS® Convention & Expo in beautiful Hot Springs, VA! Learn how to maximize your future in the real estate industry from top-rated, national speakers! Sign up today! 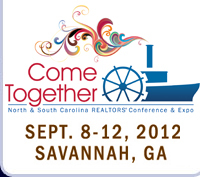 Showcase your business at the largest gathering of NC REALTORS® during 2014, the NC REALTORS® Conference & Expo! Voted one of the "World's Best Hotels" in 2012, the Omni Homestead Resort & Canyon Ranch SpaClub in Hot Springs, VA, is one destination that will leave you coming back for more. ©2007, NC Association of REALTORS®. All Rights Reserved. Site by Atlantic Webworks.